I LOVE all the books! Such an awesome room. Can you decorate my house? I wish I were having a baby to steal that picnic basket idea. Adorable. When do we get to see the rest? Love the books you’ve got displayed! I love it and wanna see more! Love the ledges for the books. Sneak Peek! This is really exciting! 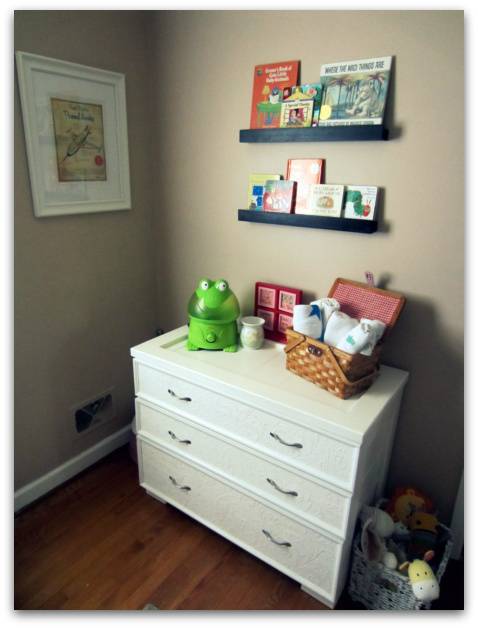 I can’t wait for the rest of the story about this beautiful Nursery room!